Usually when I buy a new Macbook, I buy the top of the line small-ish model. In 2011 that meant a Macbook Pro 13″ with a 2.7 GHz i7 processor. Since it’s from back in the good old days, when you could update the RAM and disk with aftermarket upgrades, I’ve also swapped in 8 GB of RAM and a 1 TB SSD. In theory, this should still be a pretty decent little machine. In fact, Apple was selling a very similar model (same chassis) until about 4 months ago. And it should still beat the pants off of a the current non-pro Macbooks. When I bought my current Macbook Pro, I paid €1200. It looks like my next Macbook Pro will be more than double that, so I’d like to stretch out needing such as long as possible. However, my Macbook Pro has been underperforming for at least the last year. Compile times on C++ projects felt like they’d gone up, while my machine had gotten noticeably louder (the CPU fan, specifically). Usually when that happens, it meant that I need to open up my laptop and clean the lint out of my CPU fan exhaust — a pretty easy operation. I did that about 6 months ago, and it did, in fact, make a big difference. Compile times went down by about 20-30%. But still my machine wasn’t hitting the CPU frequencies that it was supposed to. The fan was revved up too often. If your 2011 Macbook Pro does the same, then this post is for you. 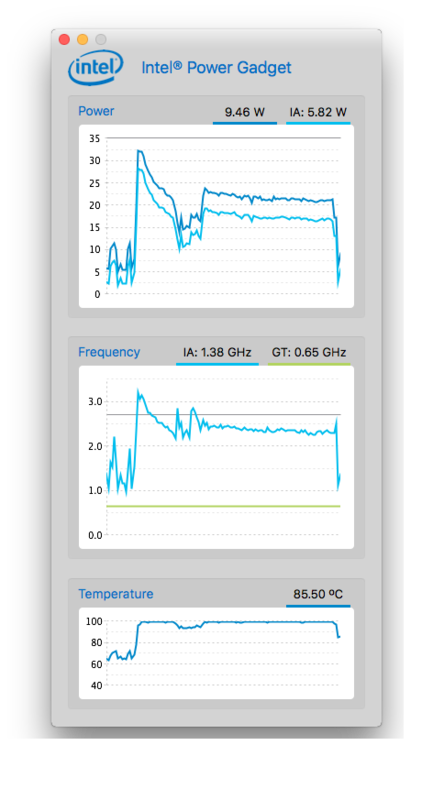 I eventually stumbled across reports that the thermal paste application on Macbook Pros from 2011 was less than ideal. I have no idea if it was a poor initial application, or simply 6 years of time, but swapping out the thermal paste made a massive difference in CPU performance and fan usage on my laptop. Compile times for a medium-sized C++ project sped up by 23%. 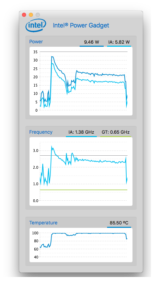 CPU fan usage went down significantly (the machine is much quieter now). The CPU far more frequently hits its top Turbo Boost frequency of 3.2 GHz, while the resting CPU temperature has dropped from around 85ºC to around 70ºC. 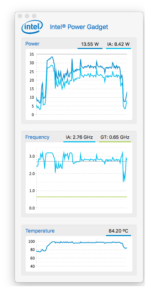 Note how often the CPU frequency before was below the nominal 2.7 GHz rated frequency (the solid grey line) vs. after. I followed the iFixit How-To. 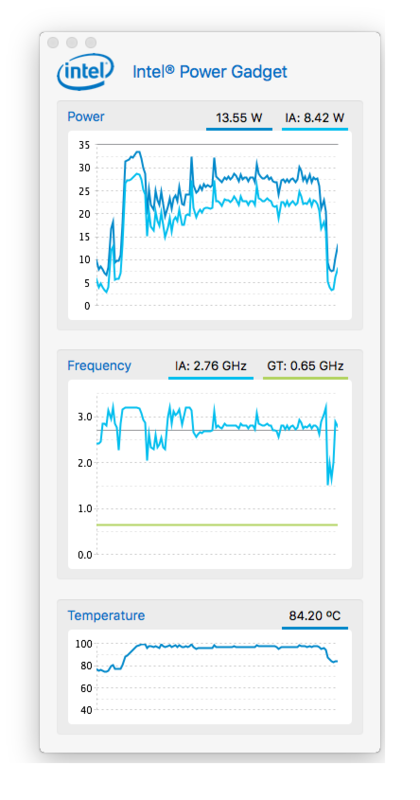 If you’re seeing similar performance issues with a Macbook Pro from that generation, and are reasonably handy with electronics, I’d recommend the same. I should add the proviso that my previous laptop was consigned to the recycling pile during a similarly invasive repair operation (though it was also 6 years old). If you’ve considering jumping into this, keep in mind that it’s possible that you’ll break something on the way.